Atlona has earmarked InfoComm 2017 as the North American debut for several key new innovations, with a focus on emerging trends in collaboration and control across commercial AV environments. Atlona will present live demonstrations at booth 3961 to showcase several technologies, including the North American debut of Velocity, Atlona’s AV control platform for Atlona and third-party products in commercial AV environments. 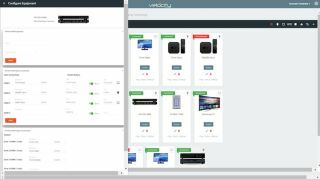 Covering a range of AV environments from individual meeting rooms to an entire campus or enterprise, Velocity allows fast, agile AV system configuration and deployment, plus centralized management for multiple clients and site installations. It also features a cloud and premise-based system architecture with scalability up to 500 room systems or more, as well as full redundancy capability that prevents AV control downtime in any room.